No game at the weekend means the Pirates hold onto the top spot for another week. With another bye week before their huge game against the Mustangs, the Pirates spot atop of our rankings should be secure for another week. Similar to the Pirates, the Phoenix were out of action at the weekend. With a trip to Coventry on the cards this weekend, Tamworth could claim the number one spot with a convincing victory over their Midlands rivals. And that’s a hat-trick! Just like the two teams above them, the Mustangs found themselves enjoying a bye week at the weekend. 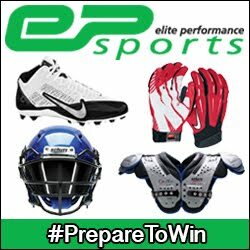 Doncaster now have another week to prep for their game vs. EKP. Here’s hoping it will be as close as last year’s 26-20 (to EKP) game up in Hamilton! Remember this meme from a few months back? 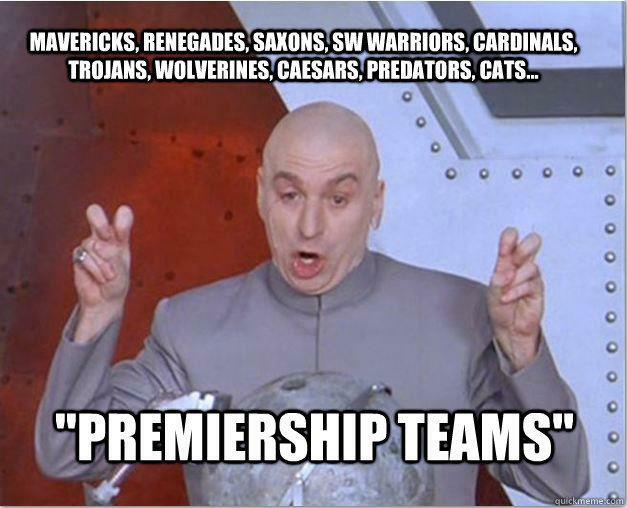 Well it may be time that UK gridiron memes either classed the Predators as a Premiership team or added another team to that list following Sheffield’s nine point victory over the Yorkshire Rams. Unfortunately for the Predators, their time in the top five may short lived due to the fact they don’t have a game until June 23rd! And we’re back to team’s who didn’t play at the weekend...Despite the Predators moving up to the number four spot, the Bulls still cling to the number five spot for another week. A victory over the Lancashire Wolverines this coming weekend could move the Bulls above the Predators. A slide of two spots for the Rams following their 28-19 loss against the Sheffield Predators. The Rams now have two weeks to dust themselves off and prepare for their game against the Birmingham Bulls. The Jets drop a spot despite not having a game at the weekend. The Jets will be in action this weekend when they play host to the high flying Tamworth Phoenix. If the Jets can pull off the upset, the race of the playoffs in the Premiership North would be blown wide open. No game for the Trojans at the weekend means they stay in the number eight spot for another week, and with no game until the 9th June, the Trojans won’t find themselves moving up anytime soon. Guess what...that’s right, Lancashire didn’t have a game at the weekend and still remain in the same spot as last weekend. However, the Wolverines will find themselves rising up in our rankings if the leave Birmingham with a victory at the weekend. No doubt Lancashire have just been working on their run D, because it looks like the opponents for the weekend are allergic to throwing the football. 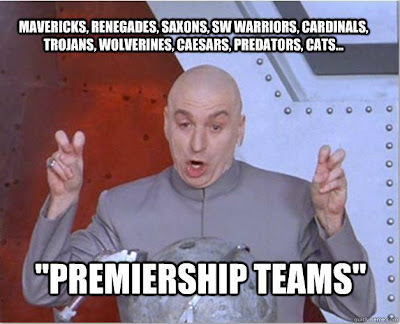 Last but not least, the Caesars round of our rankings/list of teams’ who didn’t play at the weekend. 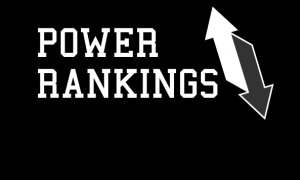 With no game until the first week of June, the Caesars will most likely end May with the number ten spot in our weekly rankings.